Introduction It's back to school for a new academic year. We are all too aware of the need to keep everyone informed with news and updates of forthcoming events, and what better way to do it than by creating your own newsletter. What's more, it could become a classroom project so your students can learn from the experience. To create a great newsletter easily and quickly you need some desktop publishing, drawing, photo editing & graphics software. Xara can offer all these tools in one single program: Xara Photo & Graphic Designer. It is a flexible, time-saving solution for designing amazing creations. 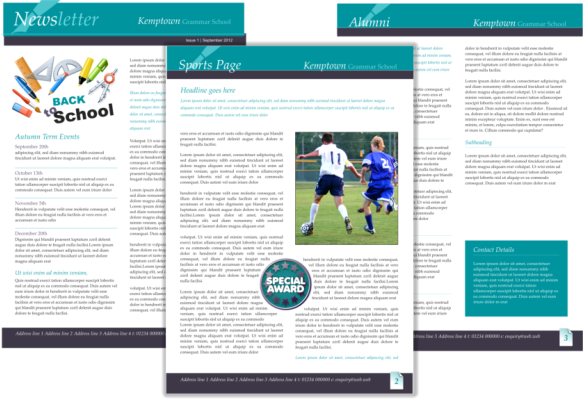 Download the free trial version here and the newsletter components that we have supplied here. And then I'll show you how easy it is to create a 3 page newsletter! So, now let’s start the tutorial!